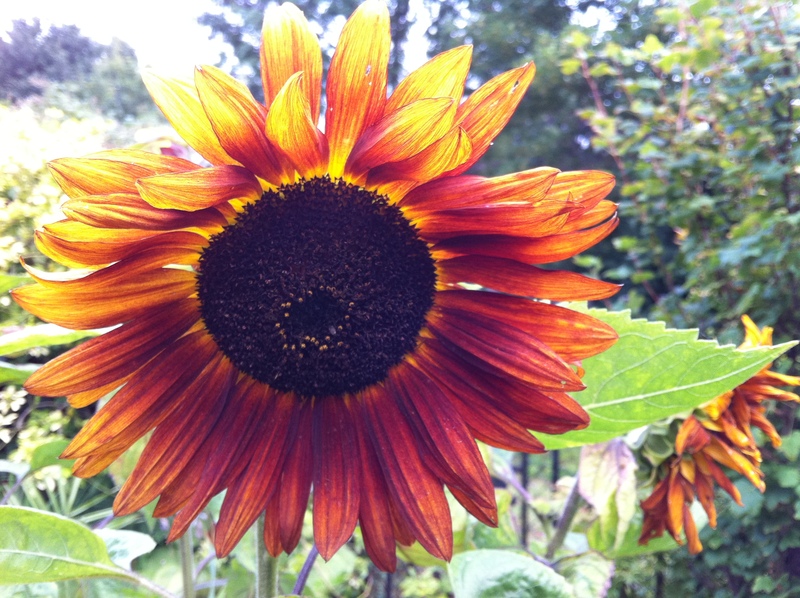 I really like sunflowers, they’re so bright and cheery and I grew several from seed this year. They were “Velvet Queen”, which has a strong red flush to the petals so they’re not the usual vivid yellow colour but appear aflame in the sunlight. I’ve seen house sparrows sit on the top of the heads and pivot over to get at the seeds. I’m glad I planted them and although we already have feeders I’m also glad that I left the seed heads for the birds after the flowers had finished. Do you have any seeds? I really like the red sunflower. Hello Karen, no, I’m afraid I don’t. 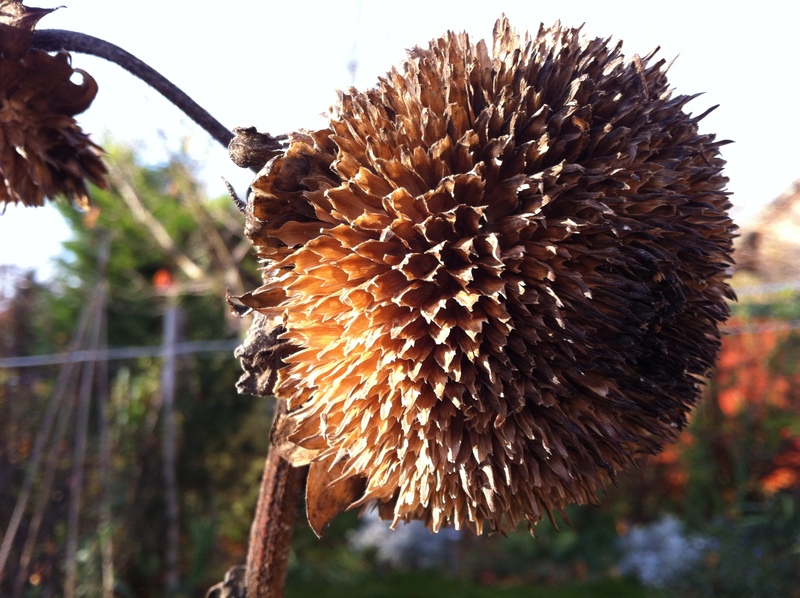 The sunflowers were only temporary and the seed heads went to the birds.